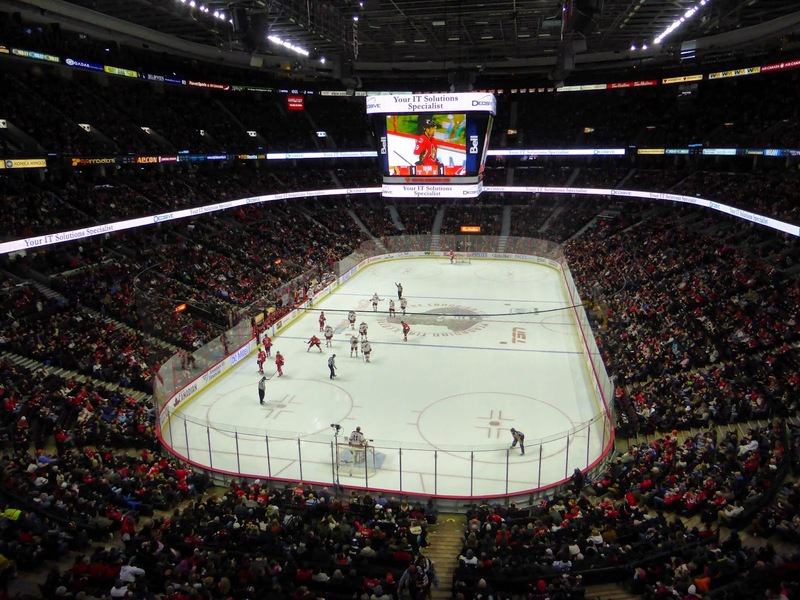 I spent last weekend in Ottawa and attended a couple of hockey games, one with the Senators hosting Arizona and the other featuring Connor McDavid and the Erie Otters at the 67s. I've discussed both rinks before, so won't do a typical post, other than to mention a few mildly interesting facts. Both rinks have recently changed their name. 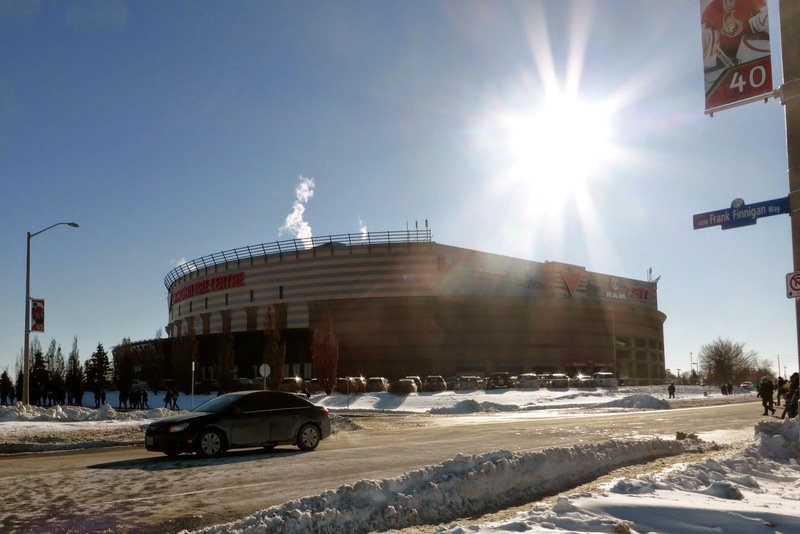 The Senators now play in Canadian Tire Centre (outside and inside views above), the venue's fourth moniker since it opened in 1996. 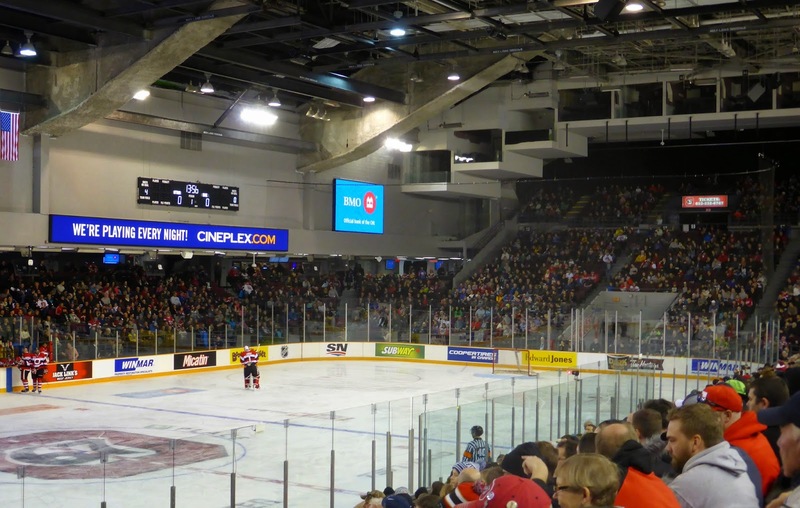 The 67s use the renovated Civic Centre which is now known as TD Place Arena. I really enjoy the layout here, it is unique with the TD Place seating bowl forcing one side of the rink under a low ceiling. The games were identical, not only in their scoring but the pattern of goals. The losing team (Arizona on Saturday, Ottawa on Sunday) scored first, only to see their opponents pot five straight to chase the goalie. The change in netminder spurred the losing team to score once, but the winners closed out the game with two more to win 7-2. Quite the coincidence. The 18 total goals were one more than I had seen in seven games so far this season, a nice change. 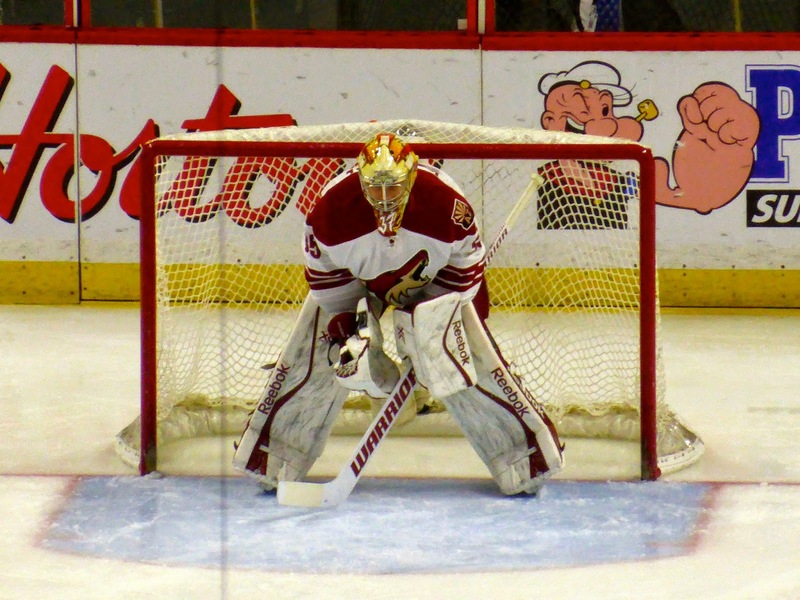 The Coyotes backup keeper was Louis Domingue (below), who had been called up that very day and was probably a bit shocked to make his NHL debut so soon. A 5th-round draft pick back in 2010, Domingue, a Quebec native, started the next day in Montreal and won the game, much to the delight of family and teammates. The Senators have changed things up during the second intermissions by copying the Washington Nationals somewhat. 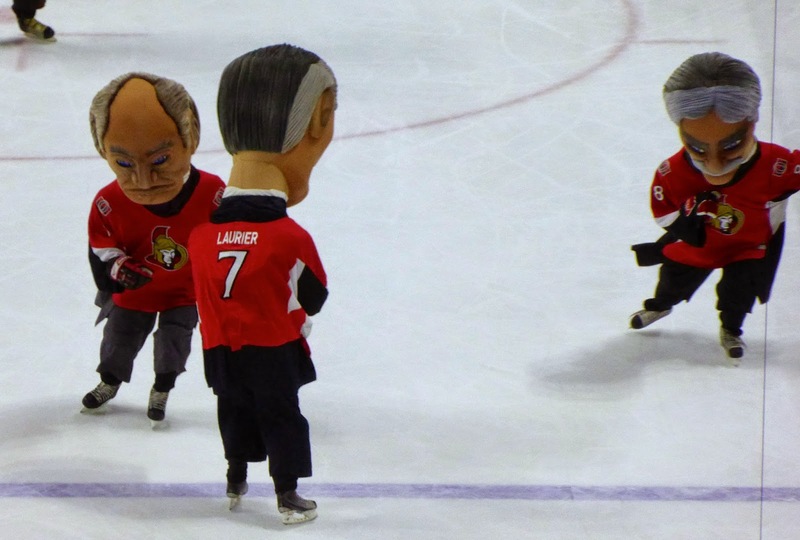 The PM race features four mascots depicting Canada's best Prime Ministers (MacDonald, Laurier, Borden, King) in a two-lap race around the rink. MacDonald lost a close one to Laurier while King finished last. Much like Teddy Roosevelt, King has yet to win a race, though only 12 have been held so far (Laurier leads with 7, Borden has 4, while MacDonald has the other win). On the OHL side, Erie is third in the league but McDavid (below in warmups) was out for 20 games with a broken hand and since he has returned they have been on a hot streak, winning 6 in a row before a loss to Peterborough the previous Thursday. The rink was sold out but with Ottawa on playing their third game in three days and returning from a road game the night before, this one was not going to be close. 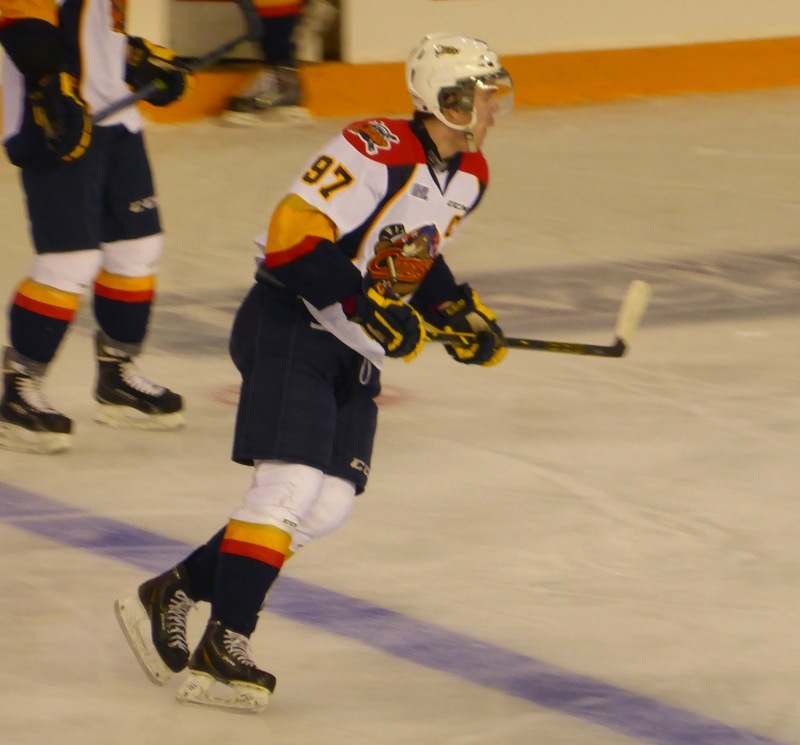 McDavid finished the game with 3 assists, and was clearly the best player on the ice. The NHL lottery will be interesting this season. 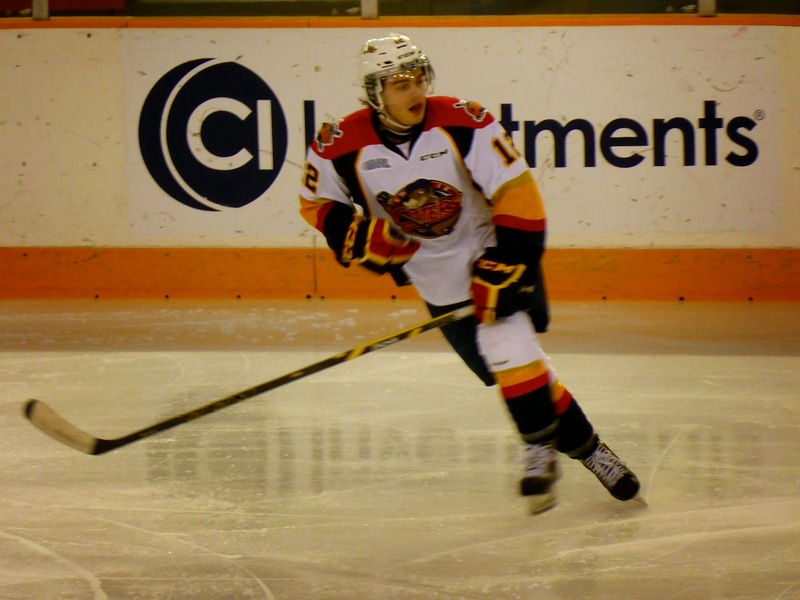 Another Otter worth following is league-leading scorer Alex DeBrincat (below), who is a rookie out of Detroit. He is only 17 and still relatively undersized at 5'7 but certainly has the skills to play the game. 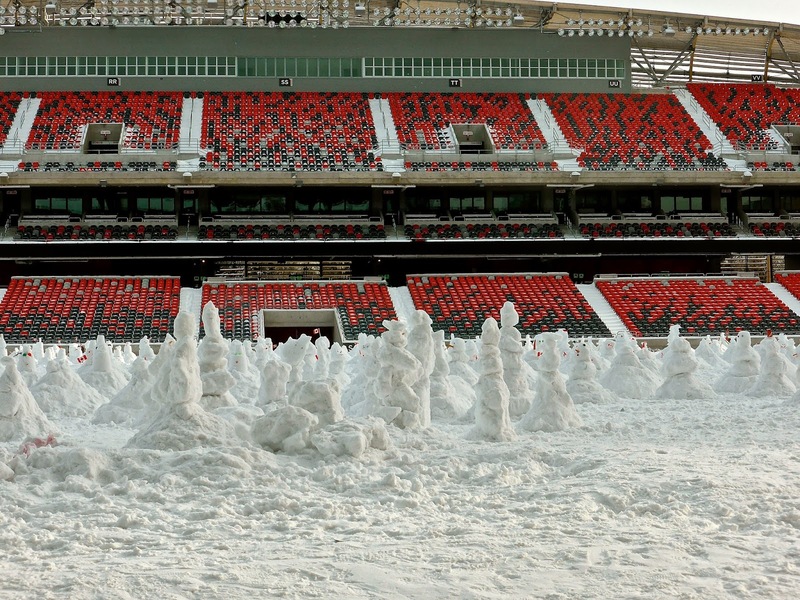 That morning, there had been a world record attempt at building snowmen out on the field at TD Place. The number constructed in one hour was 1299, 20 more than the existing record (achieved in Salt Lake City in 2011), but Guinness still has to approve and looking at the quality of the snowmen below (a result of snow that was not sticky enough), there might be some controversy down the road. My flights were delayed both ways, which wasn't all bad as I enjoyed a free night in a Montreal hotel on the way there, plus some free Tim Horton's food the next day, courtesy of Air Canada. The return trip was not nearly as nice, as we were stuck in Ottawa for about 90 minutes after leaving the gate, and then another 90 minutes after landing while we waited for our gate to open up. All in all, we spent nearly 5 hours on a cramped plane for a one-hour flight. The problems of flying in the winter in the northeast. Fortunately, both flights had great views of New York City, including a rare jaunt directly across Manhattan after leaving Newark. 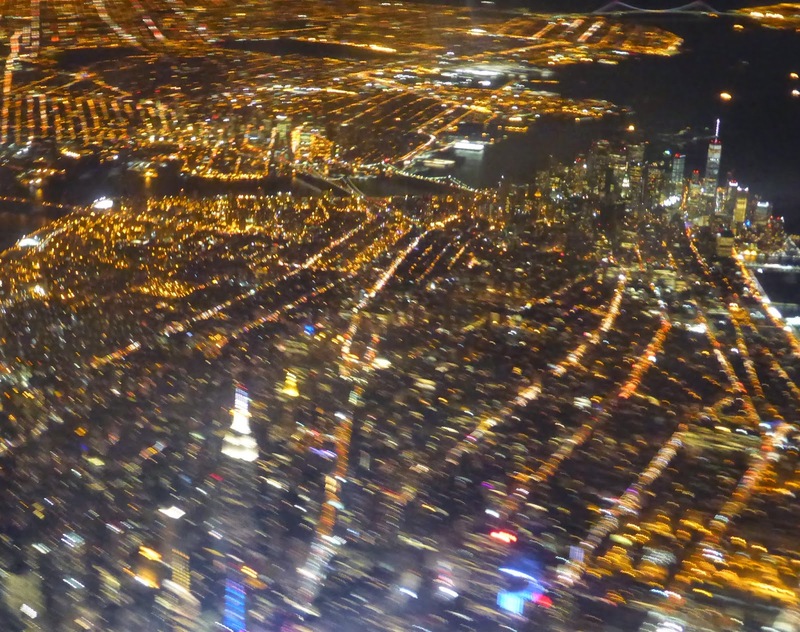 I managed only one decent picture as we flew over Times Square (above), it takes less than a minute to traverse the whole island from the Hudson to the East River. When landing at LaGuardia on Monday, we emerged from the clouds just above Madison Square Garden and flew almost directly over Freedom Tower. I did not have my camera at the ready, but it was incredible to look straight down on this view. We turned back toward the airport and descended over Brooklyn, where I noticed Barclays Center, which was lit up as the Clippers were visiting the Nets that night. The lesson is to keep your camera near when you have a window seat.